Defining biochar production could be a ‘can of worms’. Some have claimed that it is just charcoal and we’ve been producing that for a long time in many different ways. IBI have just completed a two year project that provides commercial biochar producers with guidelines for production based on their Biochar Certification Program. Europe are taking a similar path and are collaborating with IBI to align their producer and product certification requirements. The IBI biochar certification program is not compulsory or prescriptive on how to produce biochar but these programs will hopefully serve to protect future biochar consumers from false claims and poisoned soils. Biochar production in NZ in unregulated – hardly surprising as very little is being produced or used. Anyone can procure charcoal or make their own and put it in their soil. But without some knowledge of the variability of outcomes associated with charcoal production and its preparation for the soil, the results from soil application may also be highly variable. 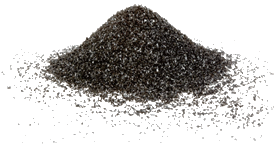 You can find definitions for charcoal and biochar and process descriptions for their production in many places. The IBI site is a good place to start. A ‘biochar production’ image search is also enlightening. We hope that biochar production ramps up in NZ at all levels: home gardening; community projects; commercial and retail sales… always in a clean and sustainable manner. This means cleanly burning the residual gases and efficiently utilising the energy products from the production process. We foresee commercial and community based biochar production systems incorporating heat / power / bio-oil co-products based around appropriate biomass resource opportunities. Domestic appliances are also being developed for home heating and biochar production. Very soon it will be possible to cook your meals over a modern, attractive, clean burning pellet gasifier that can provide your domestic biochar needs as a co-product. …and if you put that ‘can of worms’ in an wood burner… then their charred bodies can be sprinkled around your plants. But probably better to leave the worms in the compost pile and char some chicken bones. Just remember to make a small hole in the can for escaping fuel gases! For more information and posts related to biochar production please check out Areas of interest (Production).